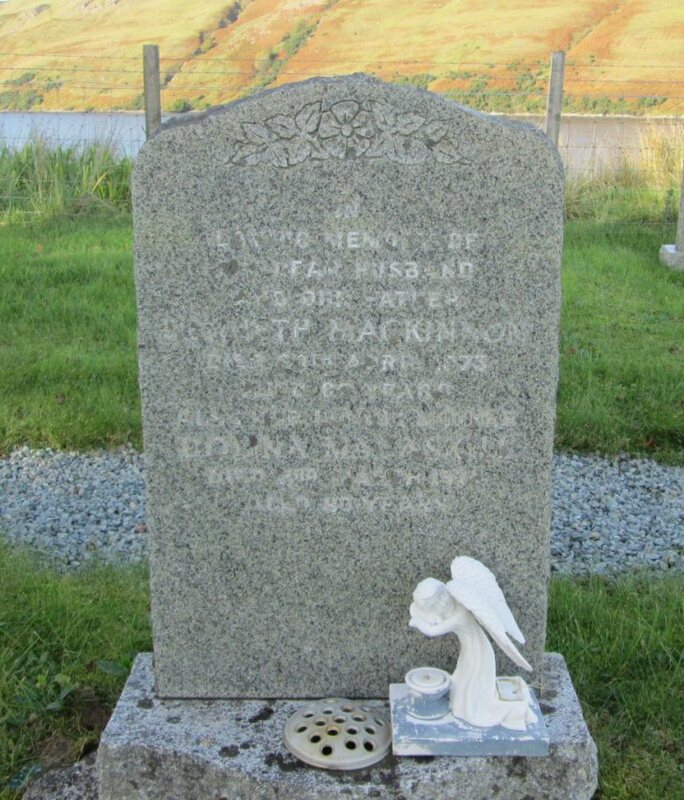 Skye Gravestones | Kenneth & Dolina (Macaskill) Mackinnon. Kenneth & Dolina (Macaskill) Mackinnon. In/loving memory of/my dear husband/and our dad/KENNETH MACKINNON/died 20 April 1973/aged 85 years/also our loving mother/DOLINA MACASKILL/died 3rd March 1978/aged 80 years. Added by on 22 February 2015.
other ships, and passengers were transferred. Added by Jere' Michel Obrien on 23 May 2017. I have just read your comments have included my email address would like you to get touch. My Grandfather Roderick sister married James Watson Margaret Ann's brother May 1891 Portree Isle of Skye. I had found some of James family had died on the Titanic. Added by Shirley Butler (McRae) on 06 July 2017. This is the grave of my Great grandparents, I knew the connection with Watsons but not MacRae or McMillan. Have been in touch with Jere in past about the Titanic link but lost contact unfortunately, would also like to hear from Shirley on the info she has too if possible? thanks. Added by Stephen MacKinnon on 14 April 2018.